Non-Surgical Care Always Recommended First: Dr. Blackmer will exhaust all conservative options before considering surgical intervention. We believe that foot surgery should be your last resort option. 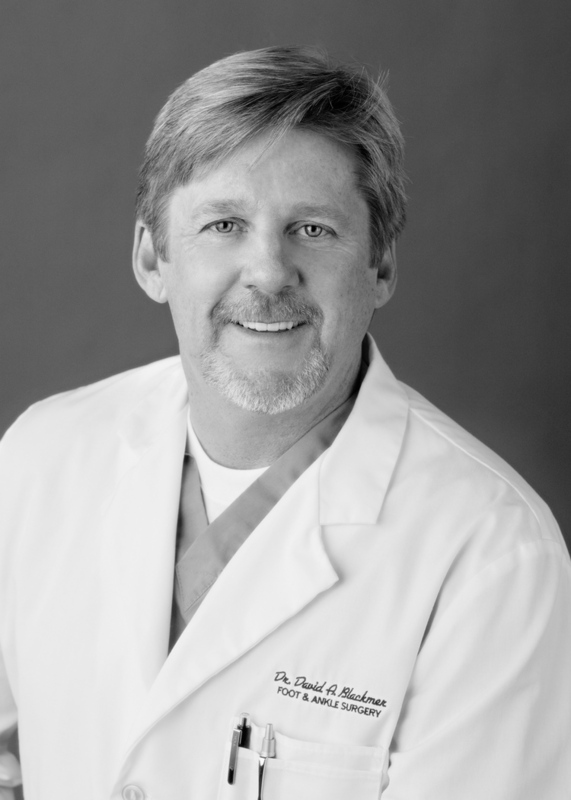 Experienced: The doctor has enjoyed serving patients from the Treasure Valley, Magic Valley and Wood River Valley since 1986 and has performed thousands of foot & ankle procedures. About The Doctor: Dr. David A. Blackmer is a native of Michigan where he received his undergraduate education at the University of Michigan and Central Michigan University. The doctors medical education consists of a Doctor of Podiatric Medicine at Kent State University College of Podiatric Medicine/OCPM along with training at The Cleveland Clinic, Tucson Veterans Administration Hospital and Intermountain Podiatry Clinic in Salt lake City, Utah. Dr. Blackmer has received additional advanced certifications in Foot and Ankle Surgery, PinPointe FootLaser, CO2 laser surgery, ankle arthroscopy, advanced osteosynthesis, endoscopic plantar fasciotomy, endoscopic decompression of inter-metatarsal neuroma and hundreds of hours of continued medical education. Along with being appointed by two Idaho governors to serve on the Idaho State Board of Podiatry, Dr. Blackmer is the past president of the Idaho Podiatric Medical Association and became a member of the American Podiatric Medical Association in 1985. Dr. Blackmer has consulted for a leading Electronic Medical Records (EMR) company and developed/consulted numerous Ambulatory Surgery Centers and specialty clinics. Ingrown toenail permanent correction with minimal discomfort and recovery. Toenail Fungus: PinPointe FootLaser for the treatment of Onychomycosis (toenail fungus) since 2009. Dr Blackmer was one of the first doctors in the country to be trained in and offer this treatment. Heel pain treatment, both surgical and non-surgical. One of the first doctors in the Untied States trained by Dr. Stephen Barrett in Endoscopic Plantar Fasciotomy technique. Over 90% of patients with this condition respond to non-surgical care. Non-Surgical Care of Foot Problems: Even though Dr. Blackmer has performed thousands of foot and ankle surgical procedures, his focus is on non-surgical treatment options prior to considering surgical intervention. Neuropathy treatment with Combination Electrochemical Therapy. Dr. Blackmer actively enjoys back-country skiing, snowshoeing, hiking/backpacking, mountaineering, running, cycling, weight training, big game hunting and exploring the Idaho wilderness.